In the professional course of a freelance translator’s career, a translation agency from hell is bound to appear. I always thought that such things only happened to other fellow translators and hoped it would never happen to me! WRONG! I was working for this client for a long time and never had a complaint: no payment issues, interesting projects, and all were great! And then it started! In June I completed three projects for them, in July seven projects and two in August. All of them were quite small in length so most were charged the minimum fee. A total of 326.24 Euros. In my world, this amount is equivalent to ¾ of my health insurance contribution that I need to pay the state. During the three month period, while I was completing other projects for them, I was sending emails to their accounts team stating that invoices were overdue. No replies. So, I kept completing projects for them, informed the project manager who was frequently in touch with me for projects, she reassured me that “Our Accounting department is making all payments in these days”. Time went by, projects were completed but no payments were made. Then, I checked their Proz profile. Oh dear! There were negative entries for them by other fellow translators. There were also some positive ones. I notified the project manager that I was aware of these negative entries and asked if there was any problem with payments. Again, the PM reassured me “We have no problems with payments”. Still no payments were made. A few days later, another email arrived, another new project. I refused to translate it as I was so very busy. In the beginning of September (still no payments were made) I decided I had to act more intensively. These negative entries and their audacity of not replying to any emails had well stressed me out. I sent the agency (PM & accounts team) more than three emails in two days, I got no reply for any of them. At that point, I decided to add my negative entry in Proz. Of course, I notified them of my intentions beforehand. No reply. Does the reputation of an agency worth 326.24 Euros? Maybe theirs does worth less than this, as they do not even bother to drop me a line. I decided on a course of action. It is a matter of principal (and my payment). No one likes to be ignored or work for free so that agencies of this sort make money and get paid from their clients without paying their translators. All I want from them is to pay the amount that is due and then never ever work with them again throughout my professional career. I will continue to send them reminders until I get paid. I find their behavior totally unacceptable and outrageous. Shame, really, because all of them are young professionals, just like most freelance translators. Please share your experience with similar collaborations with Agencies From Hell. 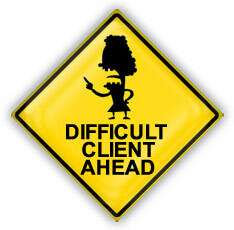 Oh, and of course, if you wish to find out the name of this agency, please drop me a line! PLEASE share the agency’s name! This agency will stop profiting only if all colleagues are warned (and the name is publicly displayed for everyone to Google it). Shame on them for not being honest, and not even trying to negotiate something. I hope to see a hapily-ever-after end to your story soon. Thank you for your comment! It is very frustrating when this happens and to be honest it is the first time this happens to me. I think you should publicly share the agency’s name so that other translators could be aware of them plus nothing is as influential as bad word of mouth. Have you thought of reporting them to police or any translators’s association in your country or even threatening them with a lawsuit after consulting a lawyer?!? After the publication of this post, they did make full payment. This agency was not stationed in my country, they are based elsewhere. I just feel that were are very exposed to risks such the one I describe. I am still not sure what the best method would have been, if they had not paid at the end.